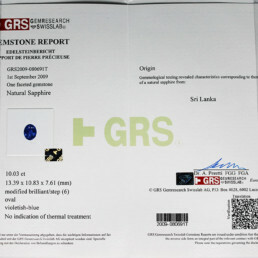 Personal Grading: “C” (on a scale of “A” to “F”) – Comment: Large Stone! 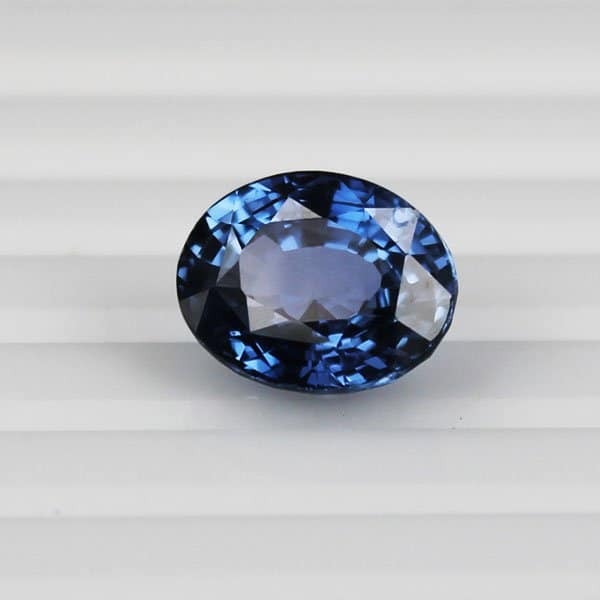 This 10 carat blue sapphire is 100% natural – untreated & unheated – one of kind beauty from the world renown sapphire source, Sri Lanka! 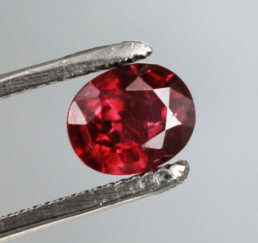 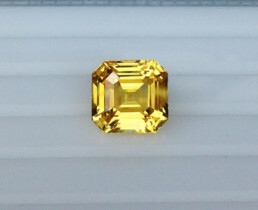 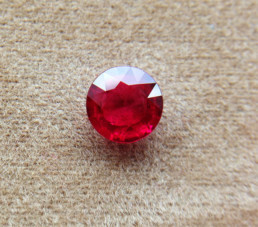 The gem itself is clean with no cloudy patches and only slight natural color zoning. 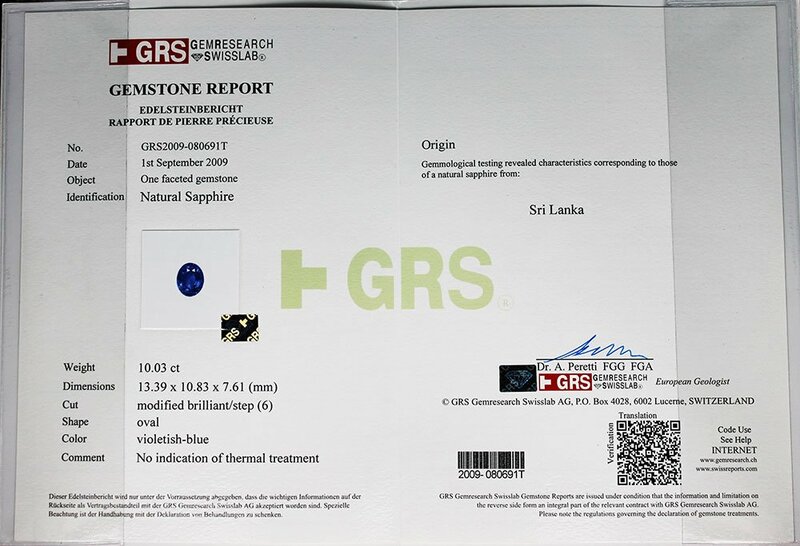 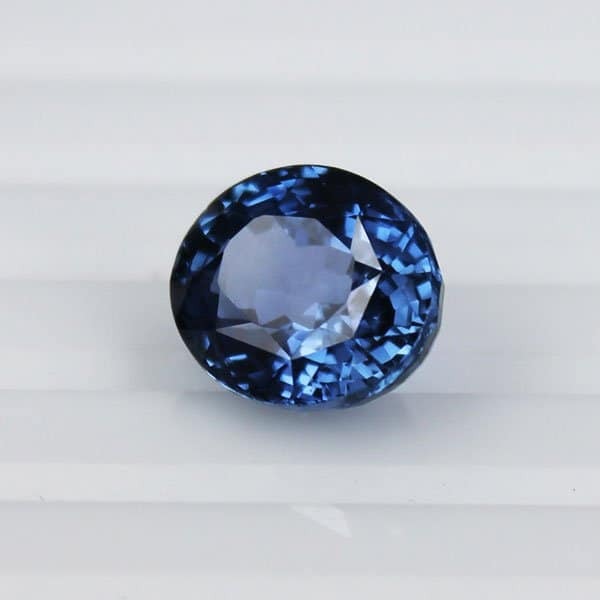 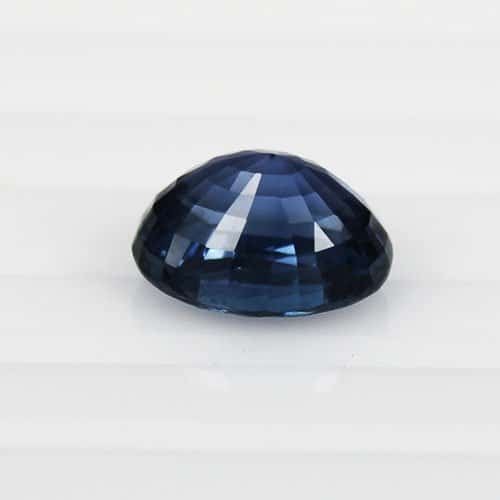 This blue gem has been certified by GRS (GemReasearch Swiss Lab) as natural violetish-blue sapphire with no indications of thermal treatment. 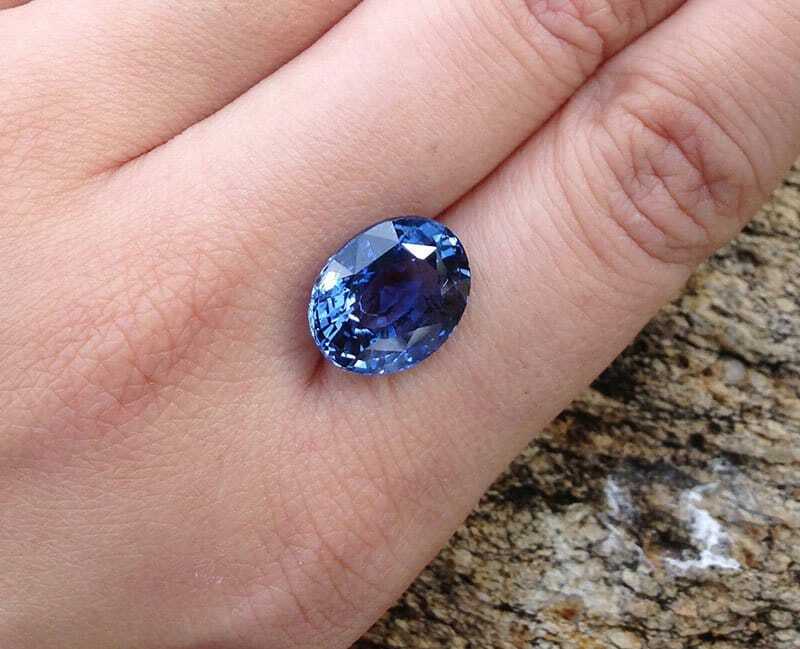 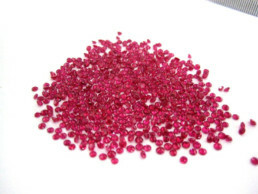 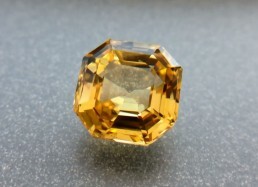 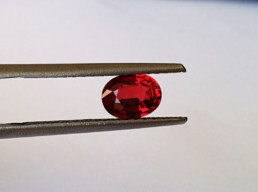 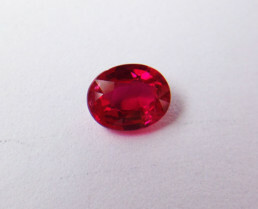 Exceptionally rare to have no treatment for gemstones in corundum family. 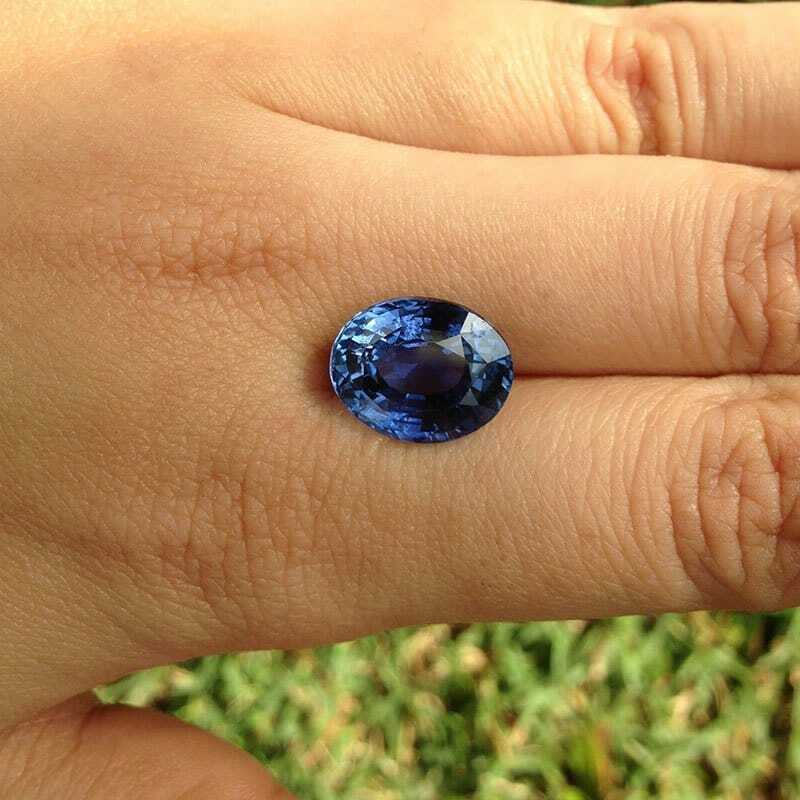 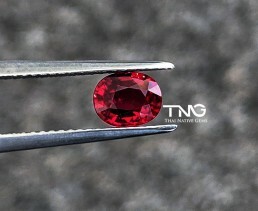 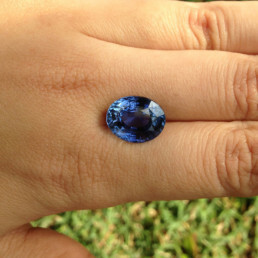 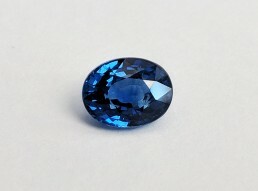 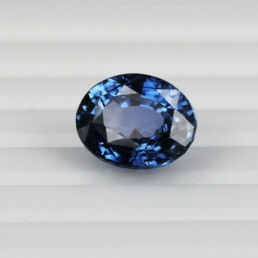 Due to its clear crystal this sapphire has an amazing luster. 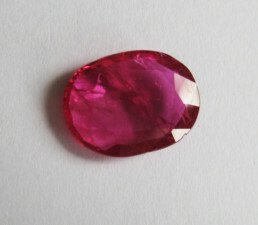 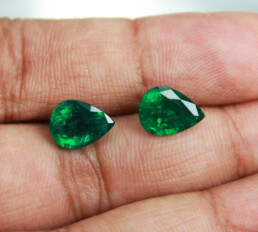 Also the cut shape is ideal oval shape with good uniform dimensions – not too deep or shallow. 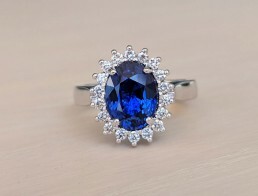 Guarantee no one will be disappointed with this beauty!